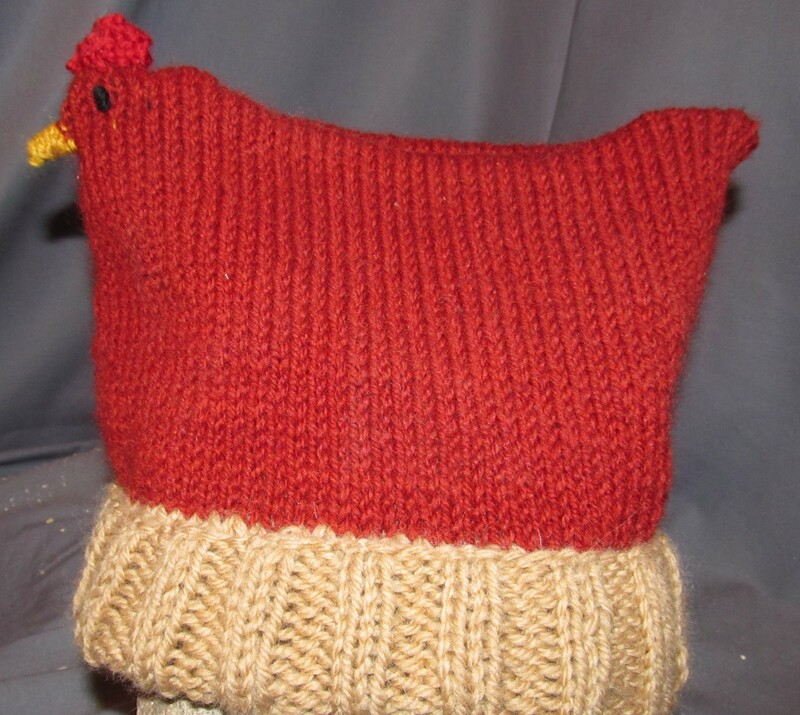 Who doesn’t need a chicken hat? Being a crafter is hard. I’m up against not just Wal Mart stuff, but even imported fair trade items are competition. This is because what’s a fair wage in India or Africa or Tibet really doesn’t cut it in America. I am working on living more simply, but I do also deserve to be compensated for what is, in the end, a skill. 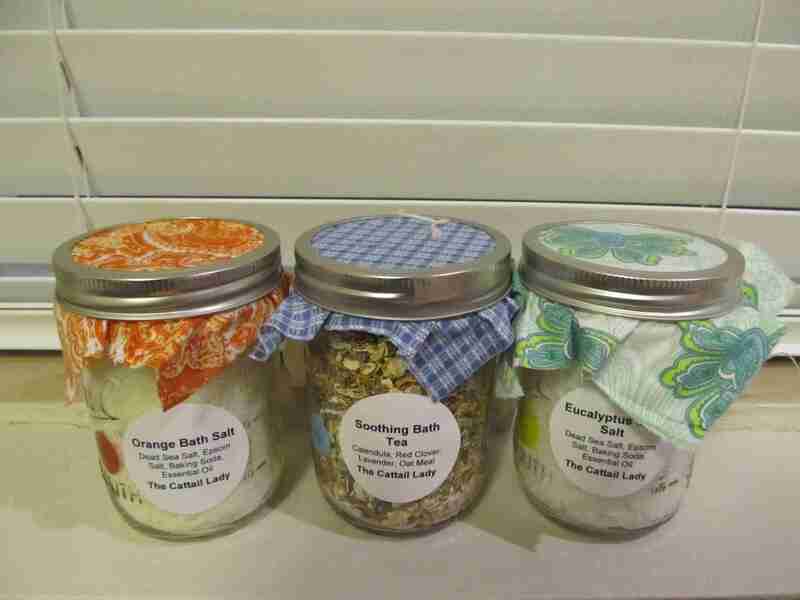 Or bath salts. I think they turned out pretty cute- and mason jars are the gift that keeps on giving. I am brand new to actually selling my crafts. I’ve been making things since forever, but I’ve never really tried to sell them. I participated in my first farmer’s market today. It was the Colorado Farm and Art Market’s Winter Market at Ivywild. I brought enough that the profit would have more than covered my rent. I made enough to cover my booth. Because the cost of the booth was covered, in the end it mostly only cost me time. I have time, at the moment, so I am going to give it another try. I have some ideas for things to make before the next one that might do a bit better, too. However, it’s a little discouraging to have so many people walk by unique works of art and hardly spare them a glance. Yes, I do believe a practical item, if it’s well crafted, is art. 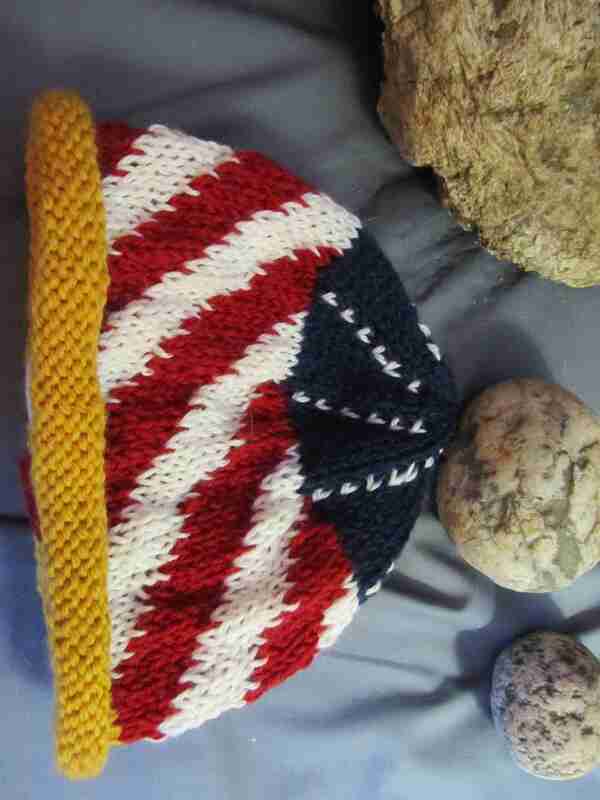 I’m proud of this one- 13 stripes, 50 stars, and the wool is from Nebraska. 100% American. If I think about it, I had a few things working against me, today. A warm, sunny day and wool hats just don’t mix well. I am brand new, so people haven’t had a chance to mull over my wares to make a decision. I price my hats so I make between $8 and $9 an hour plus materials. I don’t think that’s too much to ask for skilled, and artistic, labor, but it does mean my wool hats are $45. They take time. I think the biggest problem, though, was the beer. My table was in the hall between the entrance to the building and the beer event. A whole lot of people walked by, but their focus was not on shopping. When the choice is hand-crafted wool hats or beer, the hats don’t stand a chance. Slightly out of season- but only slightly. Once I got the table set up, it ended up being a very feminine-looking table. While there’s nothing wrong with that per se, I think it did cut into my potential clientele. I started making hats that I liked, so purples and reds dominated the color scheme. I only had one orange and blue hat, and the blue is so dark people thought it was black. There was really only one that was neutral. Even the cream one had a silver tiara and sparkles. 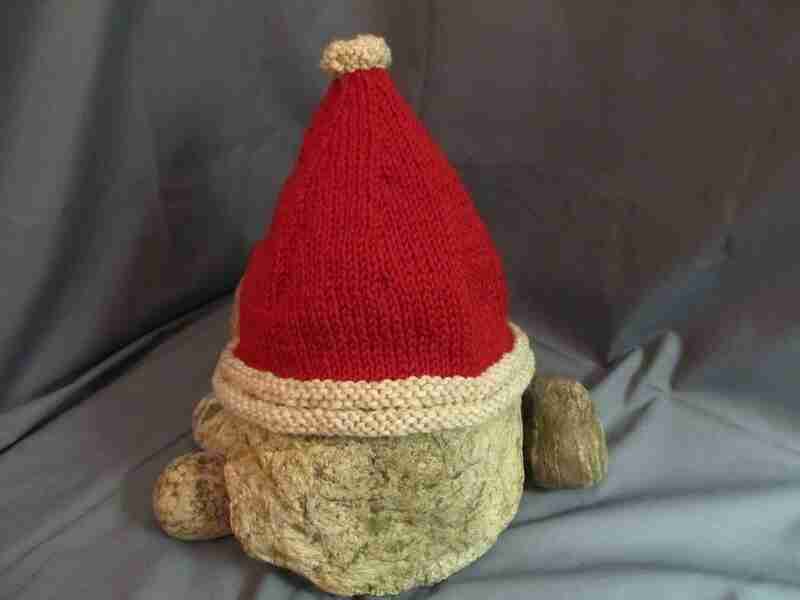 (After all, why knit something that bores me?) In order to appeal to a wider audience, I need to move outside of what amuses me and think about how to make things that appeal to others that will also entertain me. Like the idea for a white hat with an orange and blue mane. That could be fun. In the end, it was a good learning experience and worth another go. I’m hoping for cold, but not snowy, weather next time and to see all of you there, looking to buy a hat. (Don’t just show up for me, though. There are some awesome people there.) Being a crafter is hard, but the more people realize that a crafted item is often superior to a manufactured item, the easier it will become.